A constant stream of technological innovations has now become the norm, with each new technology promising to be a game-changer for business in the future. Artificial intelligence (AI) immediately comes to mind as the latest ‘silver bullet’. In fact, the widespread view is that AI is going to take the legal sector by storm – and many law firms are impatient to get on the ‘bandwagon’. 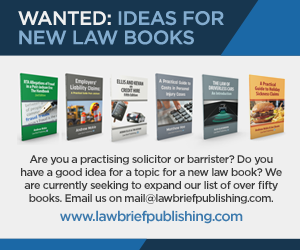 Whilst it’s important that law firms explore these new technologies – that may or may not deliver on their perceived potential in their current form – with vigour to evolve and innovate; it’s also vital that they exploit existing proven technologies and approaches that are optimised and available ‘today’. Often these existing technologies and methods are forgotten in the excitement of chasing the ‘next big thing’ – which in time meets the same fate as the existing technology – ie remains under-utilised and hence its potential is never fully exploited for business gain. In our personal lives we are usually happy to combine different solutions to optimise our experiences. Travelling is a good example, where we are comfortable to combine modern satellite navigation technologies with traditional radio traffic updates to ensure we are taking the most efficient and quickest course possible to the destination in question. Admittedly it’s rare that we use paper maps anymore, certainly not when the journey is underway, but the quality of satellite navigation live traffic information is still not at a level where it can be completely relied upon and so the journey is enhanced by a more traditional medium. To derive the most gain from any technology – efficiencies, improved profitability, enhanced productivity and other such business metrics – it’s imperative that law firms build a firm business foundation, and once established, don’t assume it never needs reviewing again. One strategy, which is a combination of approach and technology, that can help firms achieve all of this is “Automated Intelligence”. It entails a focus on the ‘here and now’ to deliver tangible bottom line benefits TODAY, with the additional advantage that it establishes a solid business foundation that can then be further exploited with ongoing innovation. If a firm does nothing else, at the very least, it should regularly review existing processes (NOT the technology) to ensure that they befit the existing needs of the business, with a specific objective of removing any procedure or step that is no longer required. These process reviews constitute a business operation’s health check to ensure that activities are being executed in the right manner to meet the needs of all stakeholders – staff, clients and the wider organisation. Having removed anything that should no longer be performed, the next step is to automate what is left. 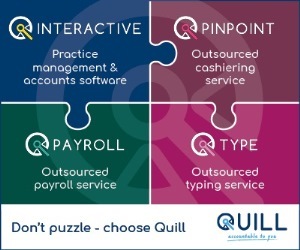 However, here too, the level of automation must suit the needs of clients, the staff and the business. Say for instance, that in the processing of a conveyancing transaction, there is a point where the client needs to be informed about the completion of a particular task. If this information is being relayed to clients manually by the fee earners, it’s worth evaluating whether in the current environment of 24×7 internet access and smartphones; there might be a more efficient, effective and acceptable way of completing this task. Could a text message or email be sent in the first instance, with a phone number included for those clients that want to speak to a team member? It’s worth highlighting that for some firms, automation may not be appropriate; the personal touch might be your service differentiator. The key message to law firms here is: automate ‘if’ appropriate for your business model and customer service. Finally, having identified and removed unnecessary steps, and automated where possible, it’s essential to ensure that the right person for the job is equipped to action whatever processes and tasks remain. Technology today supports the separation of activities within an overall legal process. The traditional ‘cradle to grave’ case handler/case owner isn’t necessary, as involving individuals with different expertise at varied phases within the lifecycle of a case is arguably a more efficient and productive approach. It also ensures quality. An analogy would be the assembly line process for the manufacture of cars where experts (humans and machines) are responsible for specific elements of every car’s creation. In a review of both high and low value work for a major client, a City law firm found that the low value work was proving very unprofitable as it was executed by expensive City-based fee earners. 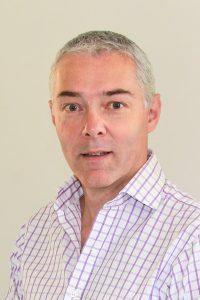 At the same time, the firm recognised that completely taking away the human element or significantly dumbing down the processes surrounding those activities would be counter-productive to the relationship with the client, and create the risk of staff churn, which could potentially have wider implications for the business. Balancing the requirements of the client, staff and business, the firm made changes to the way the lower value processes were handled to make them more cost-neutral and yet delivered by personnel with the right skills and the necessary levels of human interaction. When considering Automated Intelligence, firms must maintain the balance between automation and human involvement. Take the example of personal injury claims. 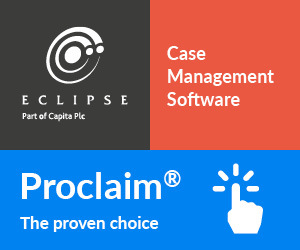 Rather than having claimants go through a tedious and sometimes even frustrating automated process for the assessment and authentication of their claim, a better approach might be to have an expert in road traffic claims triage cases and then take the claims forward via automated processes where little or no human involvement is necessary. Fundamentally, logic demands that complex work – like dealing with an injured party – is undertaken by people who are experts in their field, while the administrative work that is perhaps less visible to the client, is automated. Assuming that a law firm has undertaken an Automated Intelligence review, its business processes are leaner and appropriately optimised, which makes the organisation an ideal candidate for newer, innovative technology. Perhaps they can undertake experiments with the next generation of intelligent chatbots to augment (or dare I say replace) the human interaction steps, which may well deliver substantial further gains to the operating efficiency and customer experience. This however, undertaken without an Automated Intelligence review, would be a back to front approach, with investment in bleeding edge technology unlikely to deliver the optimal results without a solid business foundation. Automated Intelligence is that solid foundation of a firm, it constitutes the organisation’s DNA. With a strong and robust base, layering on new technologies can deliver the most efficiency and productivity gains, ultimately resulting in superior client service, a good market reputation, customer loyalty and profitability. Nigel Williams is a Product Manager at LexisNexis Enterprise Solutions. He is widely experienced in technical, managerial and consultancy roles in public and private organisations, with particular expertise in the UK legal sector – from both client and supplier perspectives. He has run IT in a number of law firms and has worked with Visualfiles since it was first introduced. In his role as the Visualfiles Product Manager, he has primary responsibility for setting future direction. He can be reached on nigel.williams@lexisnexis.co.uk.